DETROIT (Reuters) - U.S. union United Auto Workers' leaders on Friday approved a tentative four-year contract with Fiat Chrysler Automobiles NV (FCHA.MI) (FCAU.N), sending the proposed agreement to 40,000 workers for a ratification vote. The new deal, if ratified, would reshape the way in which UAW workers at Fiat Chrysler are paid, gradually eliminating a contentious two-tier pay structure. UAW President Dennis Williams admitted he made some false steps that helped lead to the landslide loss for a previous proposed contract in a worker vote. The rejection almost led to a strike at Fiat Chrysler's U.S. operations that was called off minutes before a strike deadline late Wednesday night. Williams said he misread the intensity for which lower-paid second-tier workers wanted a clear path toward top pay rather than a bridge closer to it, and he should have allowed more time before holding the previous ratification vote. Friday, in his first hours as marketer-in-chief for the new deal, Williams told reporters in a telephone press conference, “It’s one of the biggest contracts we’ve ever negotiated" with the company. 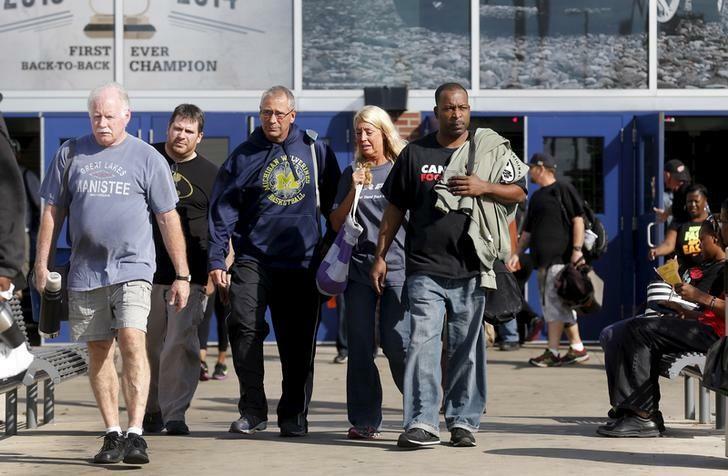 Several hundred of the UAW's local leaders from its branches, mainly in the U.S. Midwest, met in Detroit on Friday. They gave the new contract and its negotiators several spontaneous standing ovations, Williams said. It will take eight years from being hired to reach top pay rather than a shorter period for UAW workers prior to the 2007 creation of the two-tier structure. A health care co-op to pool workers at the Detroit automakers, cited as a reason for rejection of the previous proposal, is not included in the new deal, Williams said. The deal is now richer in that it raises the top pay for newer second-tier workers to about $29 from about $19 currently, and from the top pay of $25 proposed in the rejected contract. Fiat Chrysler is financially the weakest of the Detroit Three which also includes General Motors Co (GM.N) and Ford Motor Co (F.N). Its labor costs are lower than GM's or Ford's in large part because it has a higher percentage of second-tier workers. Arthur Schwartz, a labor consultant and former GM negotiator, said this proposal is richer and that he will be "stunned" if it is not ratified. "If (UAW members) don't vote for this, then their expectations are too unrealistic and I don't know if they can get a contract at Chrysler," Schwartz said after the highlights of the new deal were released. When UAW leaders sent the previous proposal to worker vote last month, Schwartz said it would have a difficult time passing. If ratified, fist-tier workers would get their first raises in about a decade. They would get an immediate 3 percent raise from their current pay of about $28, and another 3 percent in the third year, along with lump sum bonuses of about $2,500 in years two and four. The UAW said it agreed with the company to offer "retirement incentive packages" at some plants, without mentioning which ones.